Exceptional American Antique Furnishings from the Rococo, Gothic, American, Classical period. 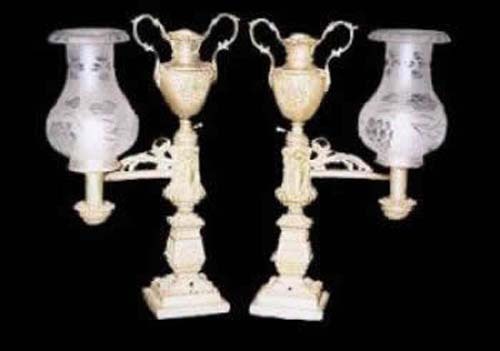 Victorian Lighting, Gas Chandeliers, Argands, Astral Kerosene Table Lamps and Floor Lamps. Victorian 12 Arm Brass Gas/Electric Chandelier, 8 arms originally for gas and 4 arms for electric, circa 1890, with 12 matching period frosted and etched globes,33" wide,52" long, now rewired for electricity.